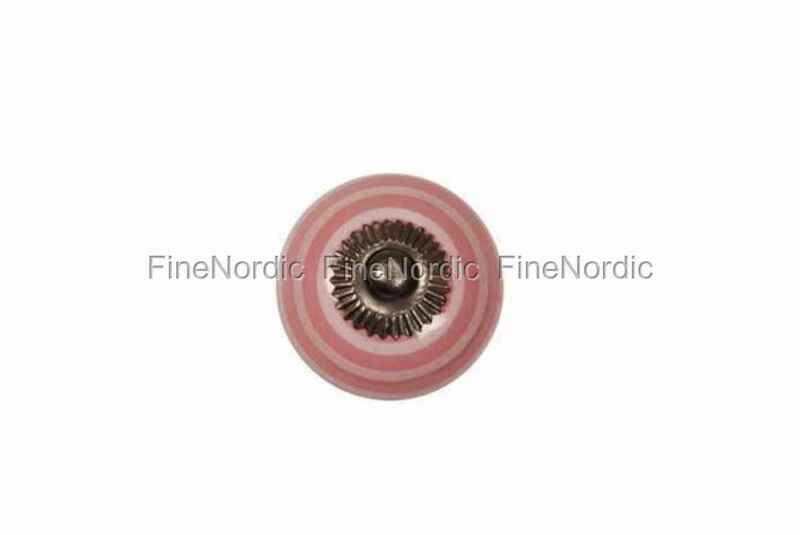 This pink La Finesse porcelain knob with white stripes is suitable for any wardrobe, chest of drawers, cupboard or cabinet. A porcelain knob can be an inexpensive way to change a piece of furniture’s look. It’ll upcycle your cabinet no matter if you exchange only one knob, or all. You can mix different colors and patterns or use the same knob for all drawers and doors. A porcelain knob will add some character to a plain looking piece of furniture. If you are searching for a whole bunch of knobs, then please have a look around. We offer a large variety of knobs here in our web shop.